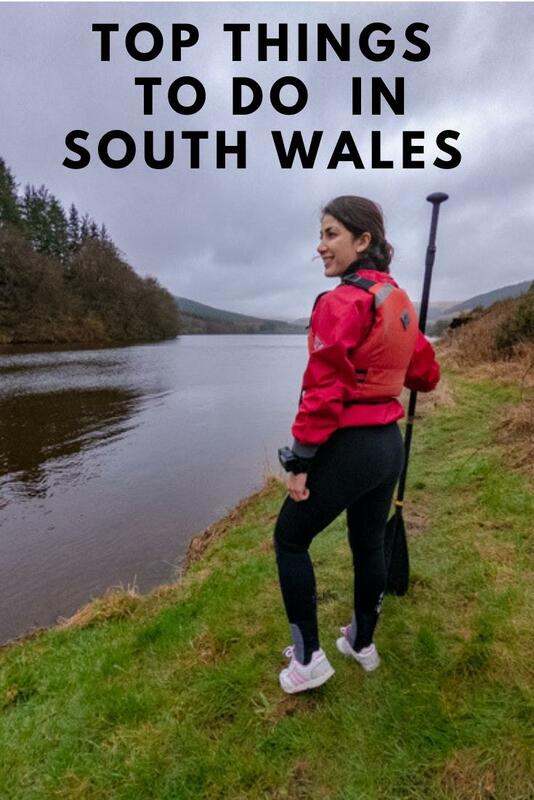 Wales is a great place for a weekend break and adventurous trips. There are a lot of activities for both adults and children. We enjoy going back to Wales every now and again and explore the beautiful Welsh outdoors. Every single time we discover new places and we also take part in fun activities. When we received an invitation for an adventure press trip to Merthyr Tydfil, we (me and Bruno) said “yes”, without hesitation. 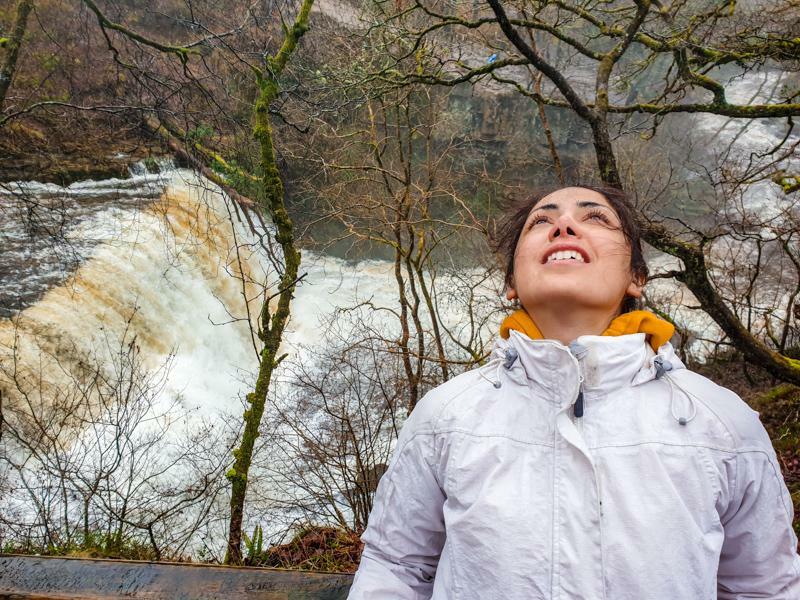 We had a spontaneous road trip to West Wales and romantic getaway glamping in North Wales, so why not going for an adventure in South Wales? 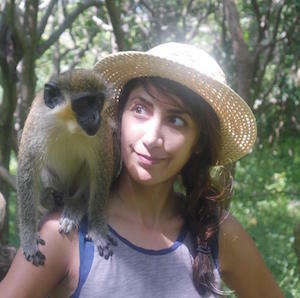 How can an adventurous couple like us say no to a trip full of activities, especially in a country we both came to love? 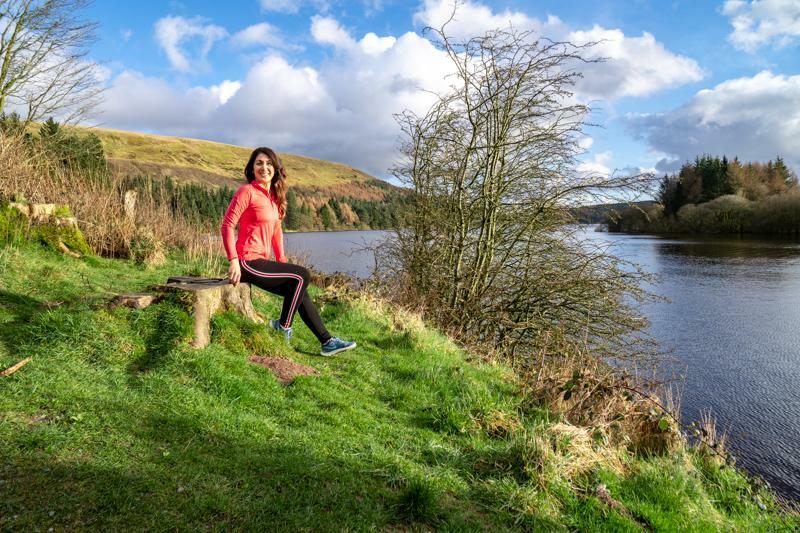 In this article, I am going to share some of the top activities in South Wales including the Brecon Beacons National Park area. We started our journey from London at 7:00 am and drove for around 3 hours (without stopping) until we arrived at Parkwood Outdoors Dolygaer, where we stayed for three nights. Our accommodation was self-catering in the south of Brecon Beacons. You can imagine how staying in the National Park, far from modern life, can be refreshing and relaxing, especially when you have a great view of a lake surrounded by green hills. 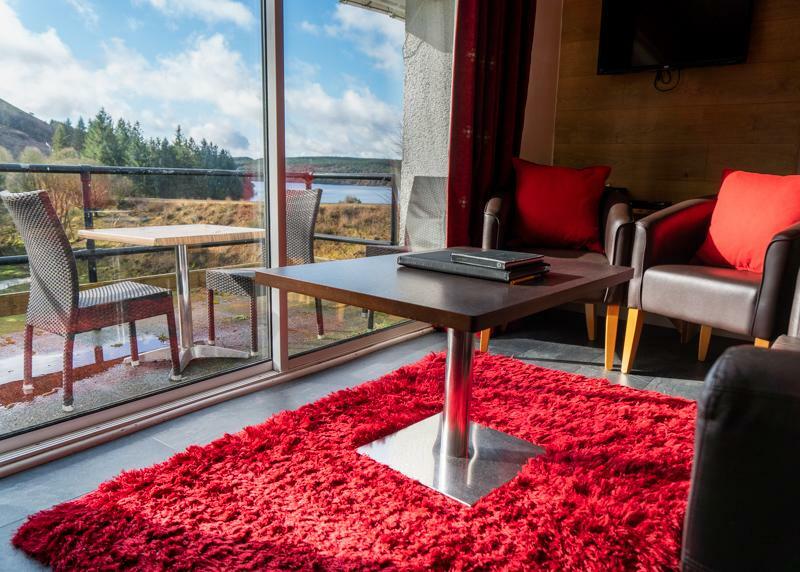 Parkwood Outdoors Dolygaer offers different types of accommodation such as cottages, lodges, chalets, a camping experience and other activities. But don’t worry, if staying in the national park is not your thing. The town of Merthyr Tydfil has various options in regards to accommodation. You can book James' Place at Brynawel, which is a refurbished guest house with good reviews on Booking.com and TripAdvisor. Or you can book Queen Bee & B, a luxury Bed & Breakfast in the heart of the Welsh Valleys. This one, as well, has great rating and reviews on both TripAdvisor and Booking.com. 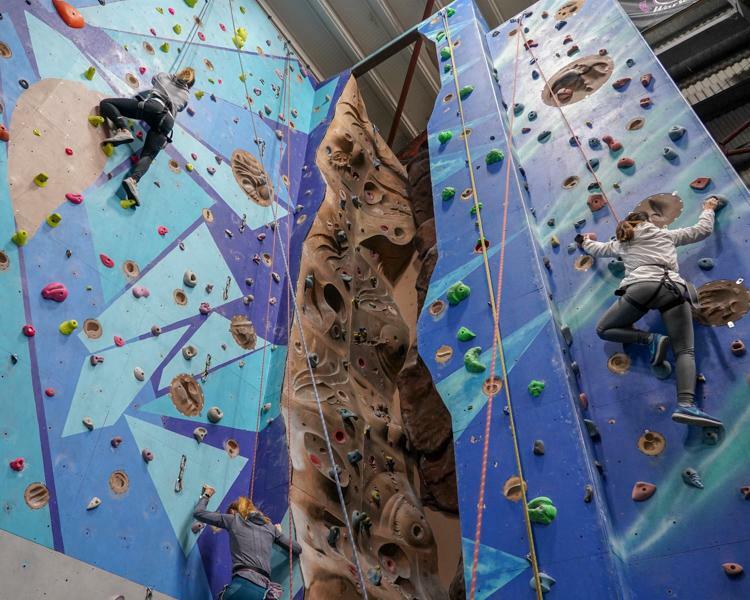 When you are in South Wales go climbing at the Summit Centre, the largest indoor climbing centre in South Wales, only 25 minutes from the M4, south of Merthyr Tydfil. The day we arrived in Wales was quite cold and rainy, so we were quite pleased to do indoor activities. As soon as we entered the site and saw the over 120 routes of climbing in front of us, we got really excited to be back on the walls after a few years of missed opportunities. There are various levels and surfaces to climb including bouldering, overhanging walls and also auto-belay, which I tried for the first time and it became my favourite one because it gives you a lot more freedom of movement and you can do it without the help of a partner holding your rope. The best part is once you decide to go down, you can just let yourself go off the wall and you will swing down softly to the ground. 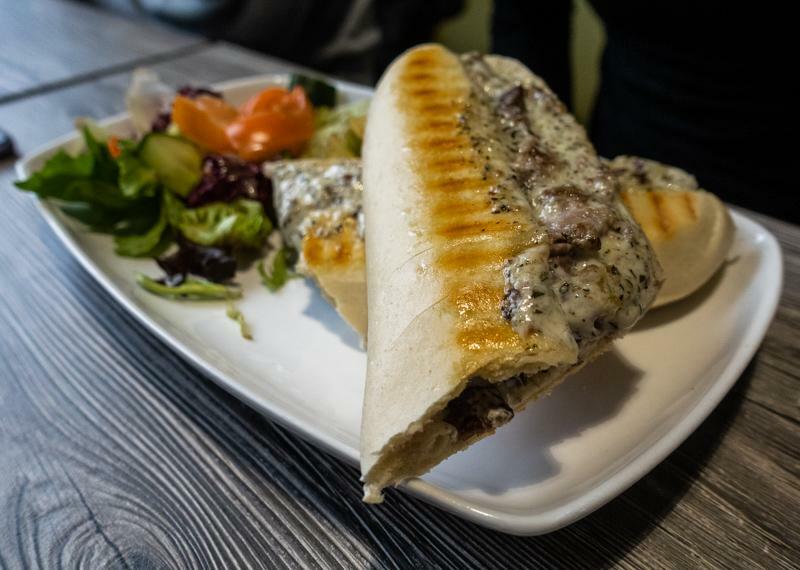 I am glad we had lunch before going on the walls, I recommend you to do the same because you need the energy to climb and the food was really good at the climbing centre (even just thinking about the sandwich we had there makes me hungry). The summit centre offers some outdoor activities too, like outdoor climbing, mountain walking, kayaking as well as rafting. 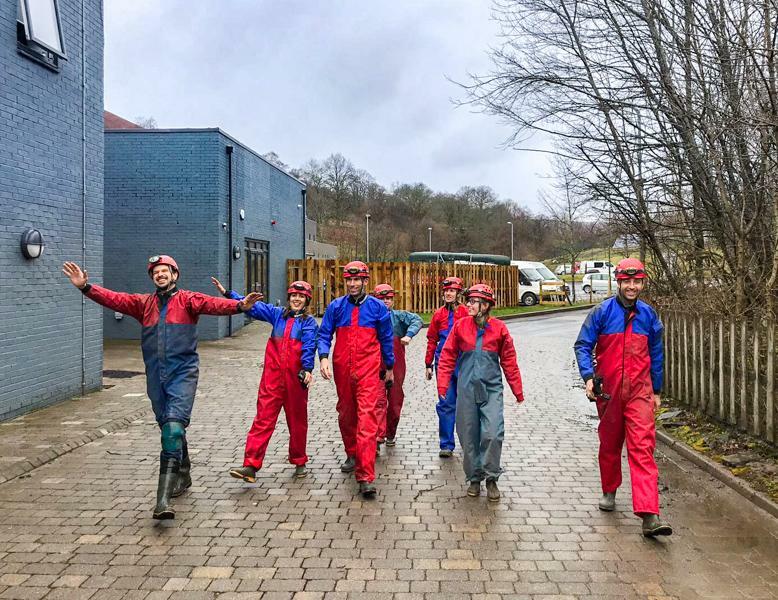 If you, like us, want to stay on site and do another activity, you can try out the man-made caving experience. We had to be geared up properly for the experience. Yes, you read it correctly, although the cave is not an actual cave, it has been made to look like the real ones: dark, moist with the narrow passages. We put on top of our clothes outer caving suits, we wore wellie boots, helmets and head torches and walked towards the cave, The entrance looked like a normal door, but as soon as we went through the entrance we found ourselves in a different environment, where our eyes could only see with the help of our head torches. In some occasions, We had to crawl in water or be completely flat on the ground to make it through some of the sections. 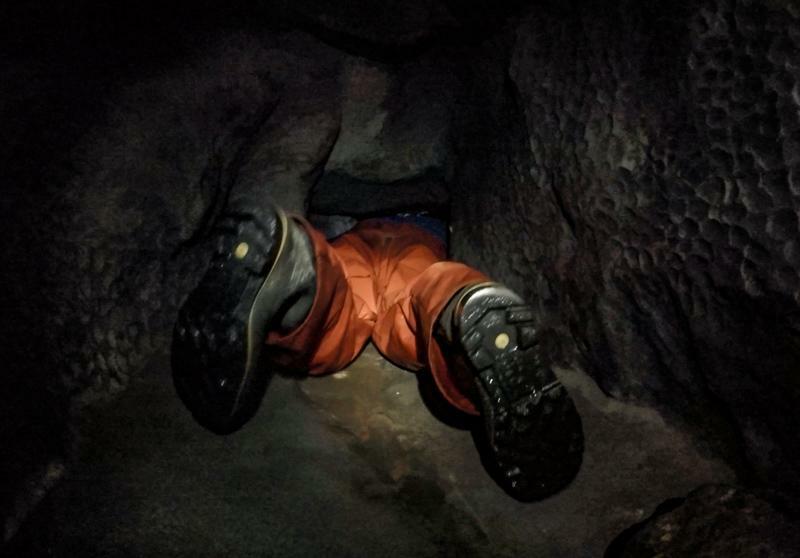 I am not claustrophobic but if you are suffering from claustrophobia I would recommend you to talk to your instructors before heading into the cave because there is no easy way to turn back or get out, especially if you are with a group. I have been in different caves where you could easily walk around or travel through them by boat, but this experience was my very first one in narrow caves. I enjoyed every moment of it even when I had to put my hands in the cold water on the ground and crawl. 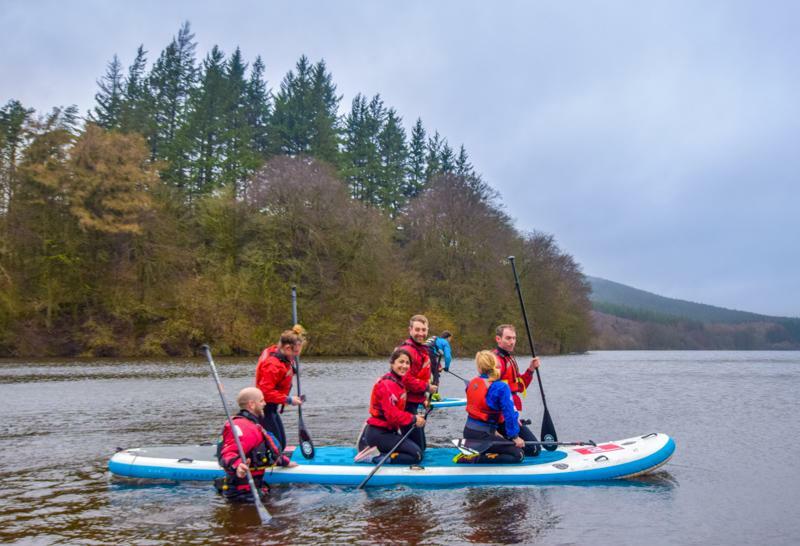 As I mentioned earlier, we stayed at Parkwood Outdoors Dolygaer, which offers various activities and watersports such as kayaking, canoeing, sailing and stand up paddle boarding (SUP). 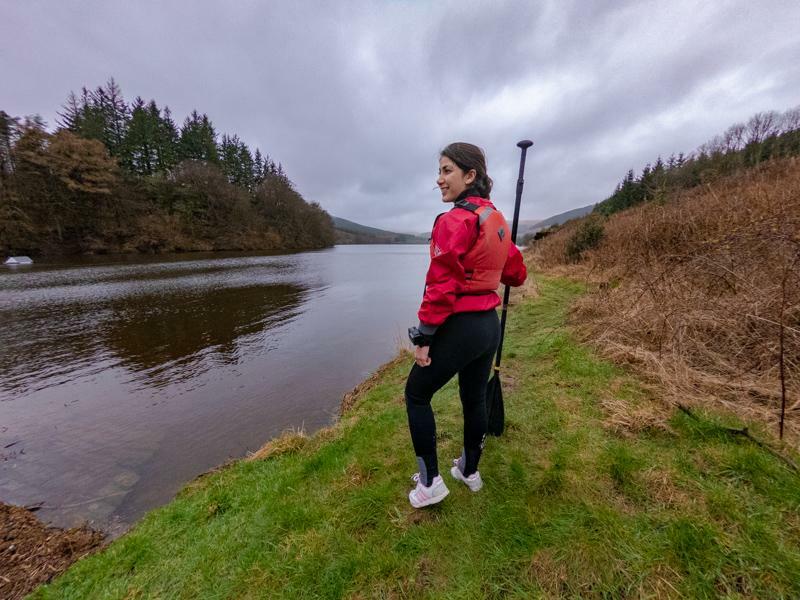 We were supposed to go canoeing and gorge walking, but it was on the day Storm Hannah hit the UK, and it would have been way too dangerous to go kayaking or canoeing in the stormy weather. That is why we went for the safer option, standup paddleboarding on the reservoir. I don’t think I should explain how unpredictable the weather in Britain can be, you should be flexible with your plans during your stay, also for your own safety. Before heading to the water, we all put wetsuits on (on top of our swimsuits), and we wore lifejackets and wetsuit socks. I borrowed a pair of shoes at the centre as well, but Bruno went with his own shoes since he had an extra pair that could easily get dry. We were all given paddles, then we (7 people including the instructor) jumped on a 12-person board. If you have done paddle boarding before you know you can get the single ones, but we all needed some training and instructions. We tried standing up and turning 360 degrees as a group of four. Then it was time to learn how to get back on the board when you fall into the water. This obviously required jumping into the cold water. It looked a bit crazy, but most of us including me decided to give it a try. Yes, I jumped into the cold water while a strong wind was blowing. It wasn’t too bad, it is strange how your body can get used to the new temperature but of course, the wetsuit helps to keep your body warm. Later, we practised some of the skills we learned by fighting some waves around some of the deeper waters. Then, we were given a single paddleboard to try it out on our own. It was too windy to stand up, so I tried knee-paddling which was fine. But, I promised myself to go back on a sunny day and try to stand up. We then headed back and took a warm shower, which helped me to feel warm again. We had some lunch and got ready for the next adventure in the Brecon Beacons National Park. 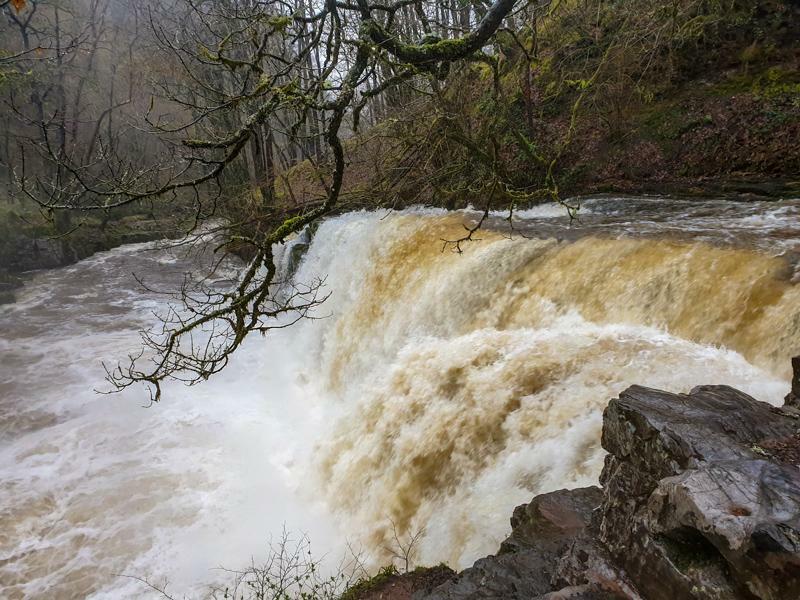 Hiking in the beautiful Brecon Beacons National Park is a popular activity in Wales, and Four Falls Walk is the most appealing one. There are several trails that lead you to the four amazing waterfalls. We drove from the centre to the car park and started our 4-mile hike with waterproof outfits on, as the storm was getting stronger. The weather did not get any better, it started pouring. I know, it might sound crazy, but I enjoyed hiking in the rain because there were only a few people on the trail and we could see the amazing waterfalls in full flow, or, better said, the rain made the waterfalls look very dramatic. 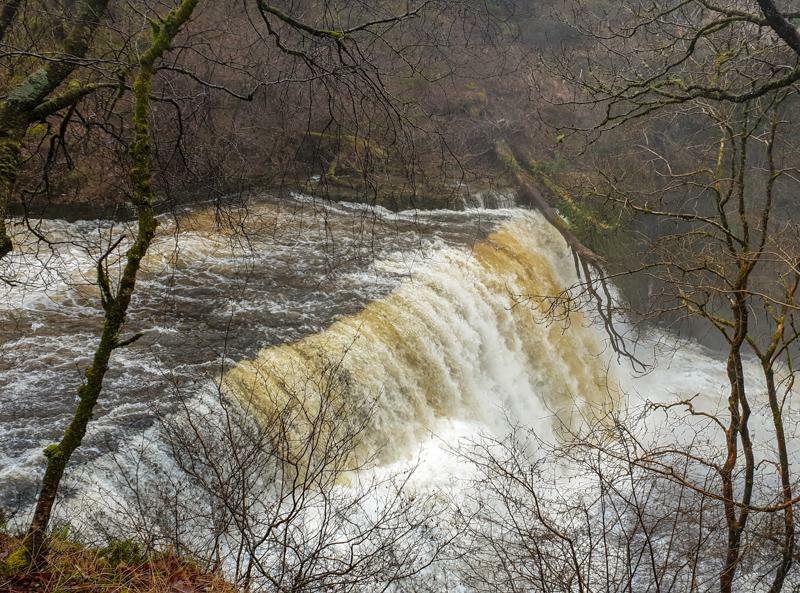 We had been to the Brecon Beacons before when it was sunny and we took a different trail to see the falls. Yes, the waterfalls at the time looked epic, but they were not as breathtaking as what we saw them on a rainy day. Especially the one waterfall we could walk behind. 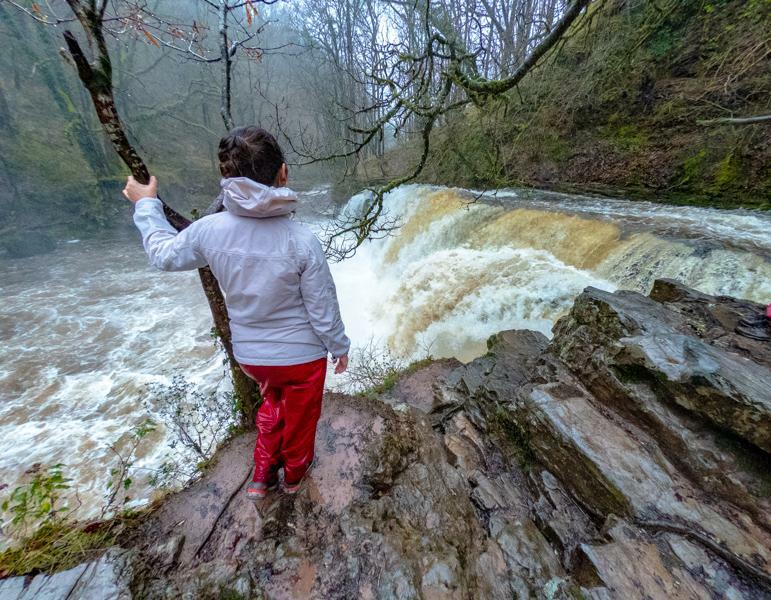 I would recommend you to wear proper walking boots and waterproof clothes even when you are visiting on a sunny day, the trails could be slippery and you can get wet by walking behind the waterfall. I actually fell down the first time I was there because I didn’t realise that the rocks were wet. You should keep in mind that you are still near big waterfalls, and of course, everything can get wet quite easily. Mountain biking is a fun activity which can make you feel some adrenaline rush. 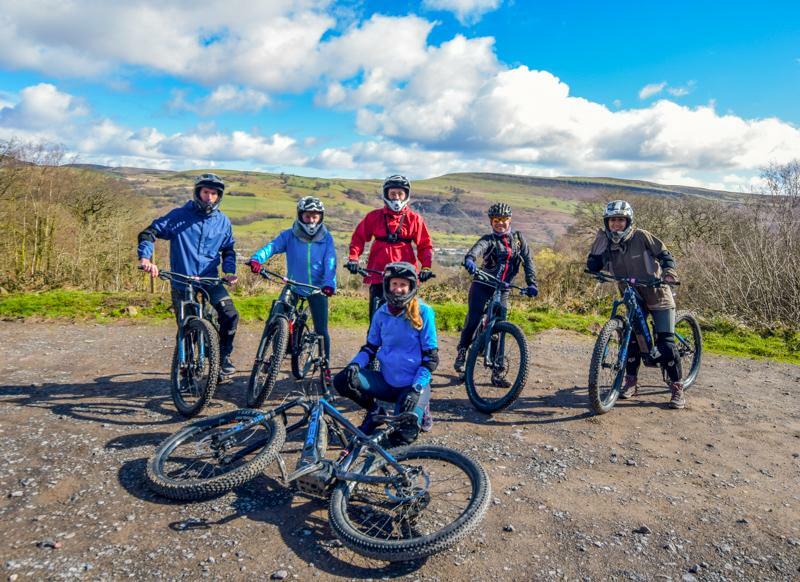 We went for the mountain biking in Bike Park Wales on our third day once the weather improved and the rain stopped. I am not sure whether it would have been possible to go there on a stormy day, but probably not. We had never done mountain biking before. We had been on a bike tour through six countries, but riding a hybrid or a road bike is totally different from riding a mountain bike. So, you know now that we were (are) just beginners. 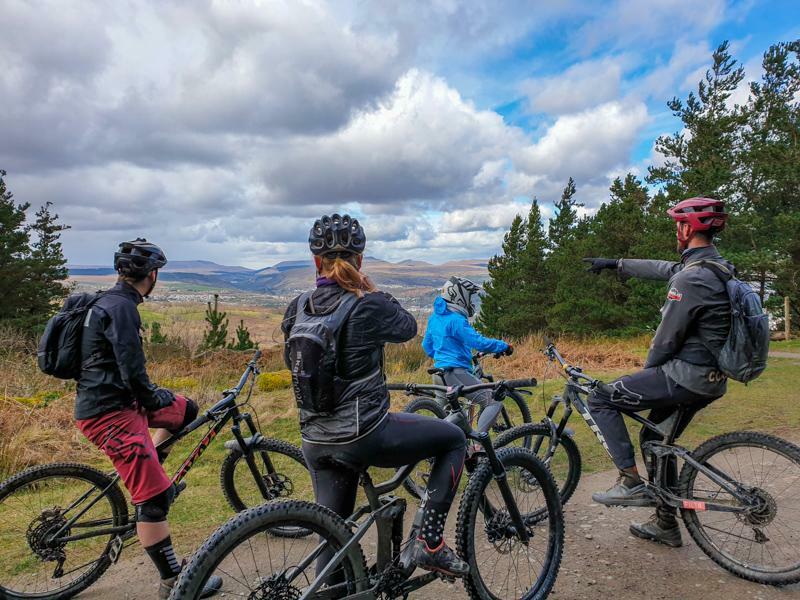 I am glad we had our very first experience with two super helpful and very patient instructors, who gave us tips and helped us to build our confidence on the trails. 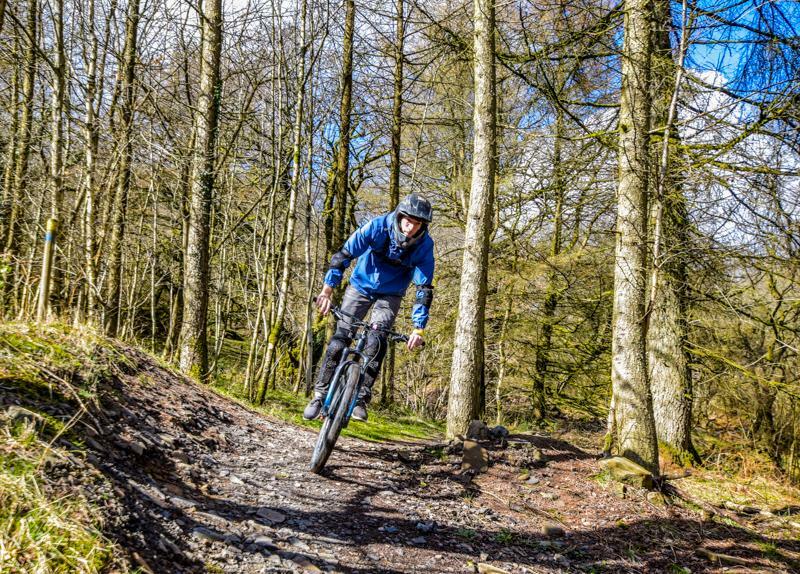 The site has various trails for different levels, from beginners and kids to the ones for professionals who can handle all of the big jumps and sharp turns. The trails are clearly marked with their difficulty level, from green to black, similar to skiing. We started with the green route, then we headed up to a short blue trail and when we felt ready to take a longer ride, we used the uplift service to get to the top of the hill and rode all the way back down on a blue route. I am not sure if I will be able to try out a red one anytime soon, but I would love to one day. 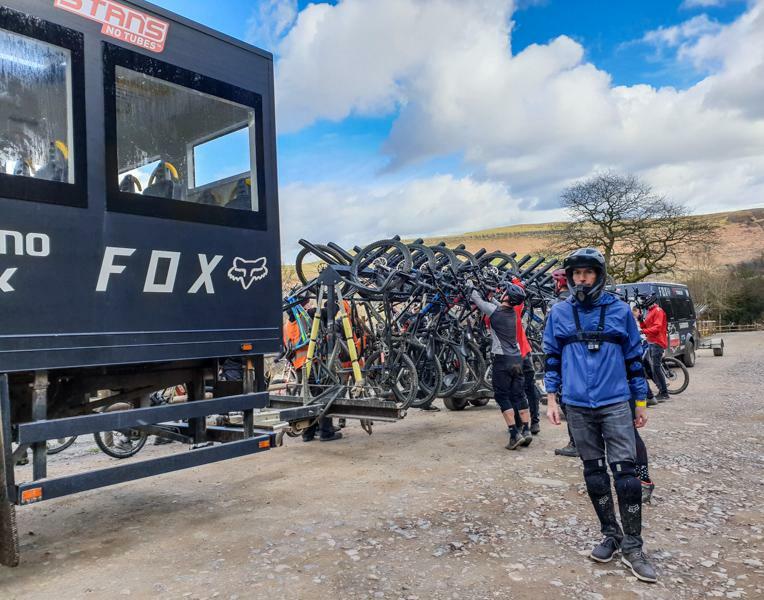 Just keep in mind that you can go with your own bike and gears and just pay for a day pass and the uplift service or you can also hire the bike, helmets and other gear on site. 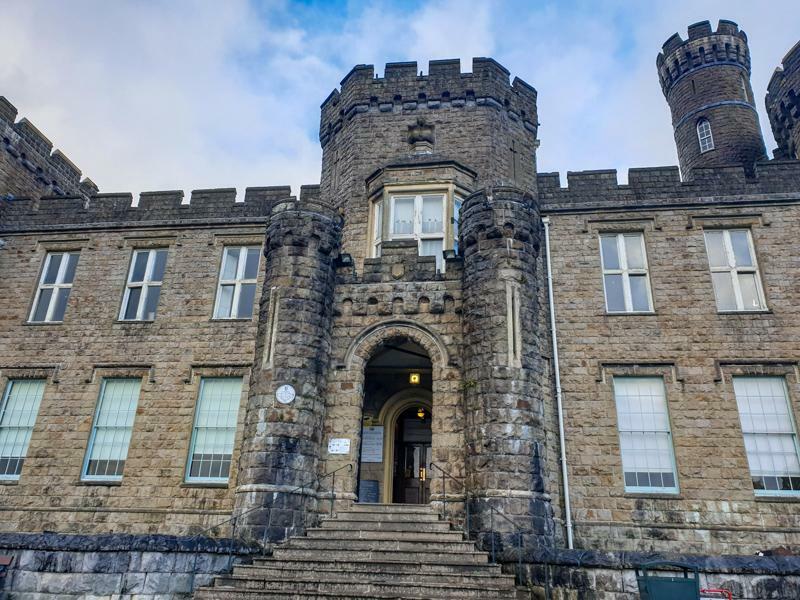 When you are in Merthyr Tydfil, you must learn about its history, so visiting the Cyfarthfa Castle gives you an opportunity to learn more about the South Wales culture and history. 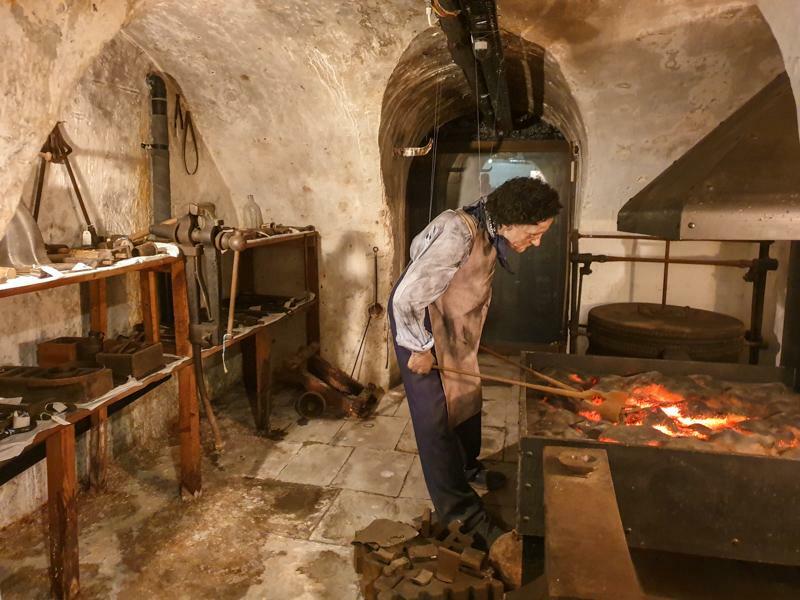 Cyfarthfa Castle was the home of the Crawshay family, but it has now become a museum and art gallery with a collection of artefacts spanning 2000 years of history of Merthyr Tydfil. We visited the castle after all of the fun activities I mentioned. To be honest, we needed a relaxing afternoon before heading back home in London, so we walked around the Cyfarthfa Park and left Wales with a lot of good memories and stories to tell.